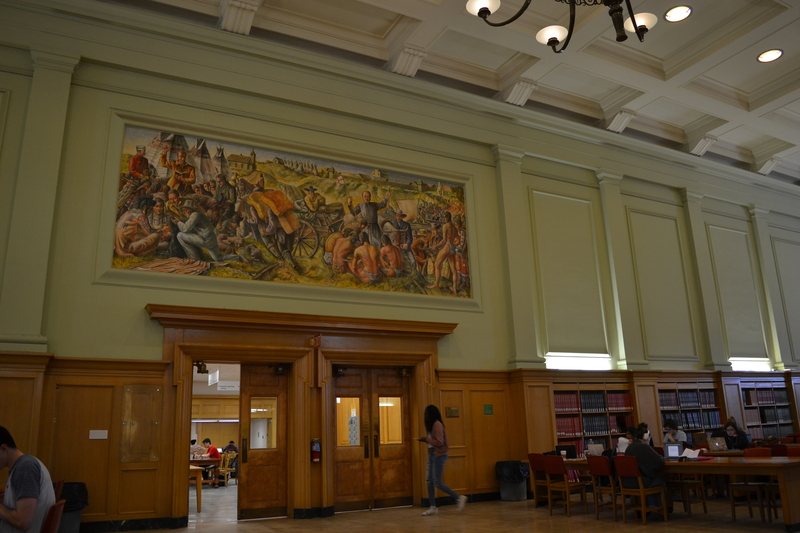 Glyde’s mural “Alberta History” is literally part of the wall in this reading room at the University of Alberta’s Rutherford Library. When Kelsey Chief took an orientation tour at the University of Alberta in 2015, one of the stops took her to a mural in Rutherford Library: Henry Glyde’s painting, “Alberta History.” In this episode, Kelsey talks about the anger she felt seeing that mural. And University of Regina artist and professor David Garneau shares a different take on the mural. Henry George Glyde was originally from England, and studied art all around Europe. He started the University of Alberta’s art program, and helped found the Banff Centre. He completed this mural, Alberta History, in 1951. It lives in the Rutherford Library South reading room. It paints a picture of Alberta history dominated by two white Christian figures: the Catholic Father Lacombe and the Anglican Reverend MacDougall. Each stands around a cluster of Indigenous people, mostly bowing their heads. Fort Edmonton is in the background, along with churches and a smattering of tipis. 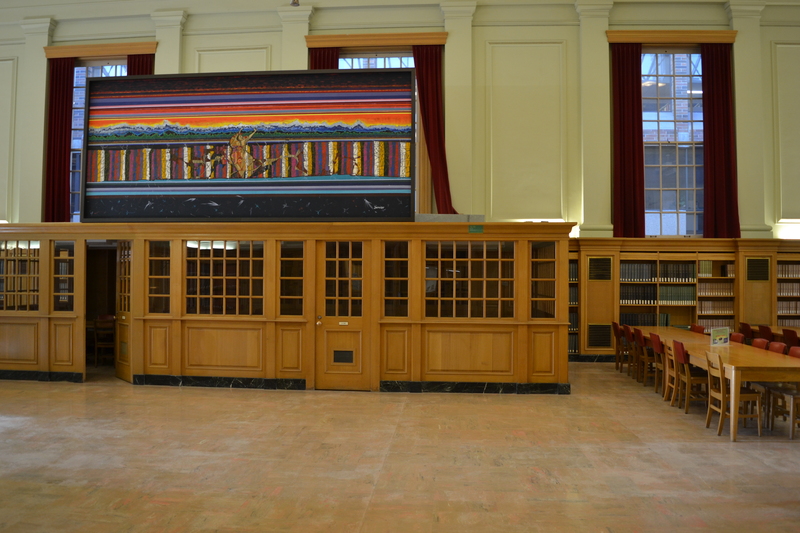 The painting made enough people uncomfortable that the University of Alberta acquired another painting for the room as a response: “Sky Talk”, by Alex Janvier. Janvier is a Dene Suline-Saulteaux artist from Cold Lake First Nations, and was a member of the groundbreaking Indian Group of Seven. As an Indigenous student, Kelsey Chief found “Alberta History” made her feel very unwelcome in the space. And she found the presence of “Sky Talk” an inadequate response to the issues it raised. So she wrote a Manifesto about the piece, calling other students to recognize colonialism in the painting and its presence on campus. This interviews for this episode were originally recorded in 2016, as a pilot of sorts for Let’s Find Out.